Google Featured Snippet: How Does it Work? Google featured snippets, otherwise known as “position zero” or the “answer box”, are fast becoming the most desirable goal for digital marketers. In this blog post, we look at how they work and the different ways you can optimise your content to achieve this top spot. Featured snippets are results which appear at the top of the organic Google search. Their central aim is to directly answer the user’s query in a clear and concise manner with a ‘snippet’ piece of text extracted from an article on that subject. 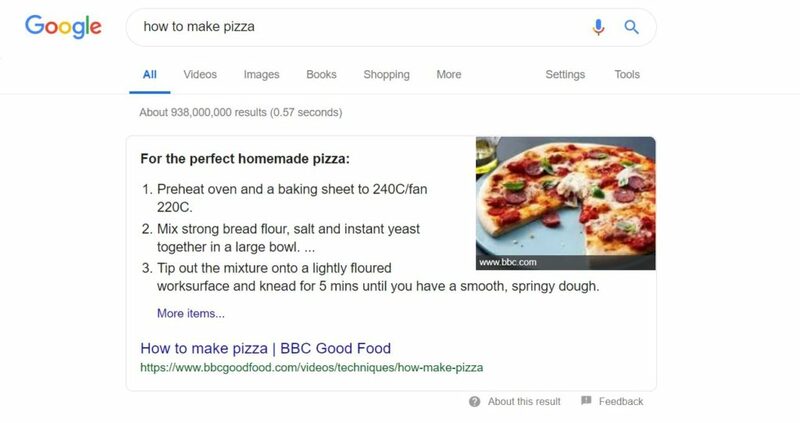 You do not have to be in the top organic spot to achieve a featured snippet, although they will typically be taken from an article on the first page of results. Instead, Google chooses to feature an extract of text that directly answers a specific user question. In the words of Google: “When we recognize that a query asks a question, we programmatically detect pages that answer the user’s question, and display a top result as a featured snippet in the search results”. Featured snippets, therefore, are all about providing simple answers to common questions. The paragraph is the most common form of a featured snippet and it typically appears for specific and long-tail search queries. People type all sorts of things into Google and the paragraph featured snippet is there to give them a quick and concise answer to their question. You will typically see paragraph featured snippets for “what is”, “who is”, “why is” and “how to” style search queries. The text is usually a whole paragraph extracted from an article – the section which Google deems to best answer the question. Listed featured snippets can appear in both numbered and bulleted form. They will typically appear for recipes, step-by-step guides or queries which feature “best”, “top”, “highest” and other similar superlatives. Table snippets will commonly appear for comparative queries where the results are looking at varying quantities, such as weight, temperature, cost and more. For these snippets, Google particularly values structured data. YouTube videos will be featured at the top of the organic search results if the search query requires a more visual answer. 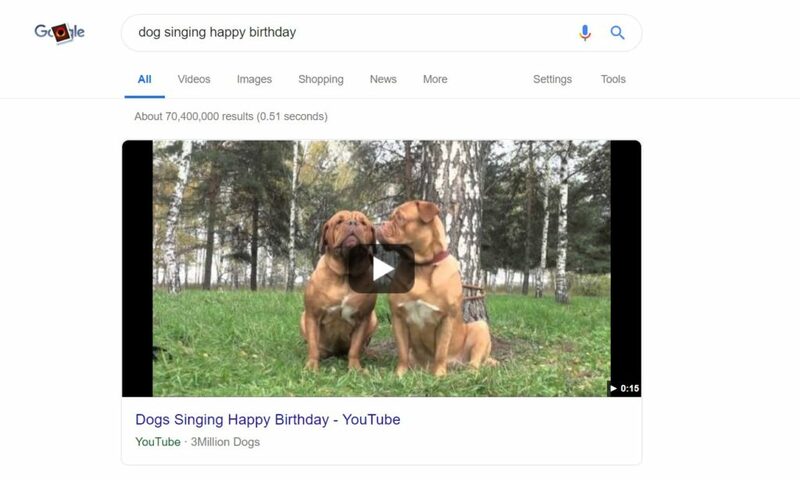 These won’t always be in the form of questions, but will appear when the user is looking for a guide or to view something specific (like singing dogs). How do you optimise for a featured snippet? In simple terms, you need to identify the target search query and endeavour to answer it as best as you can. There are a few tools you can use to be smart about how you optimise for the Google featured snippet. The first thing to bear in mind is that you are highly unlikely to get a featured snippet for a search term that you are not already ranking on page one for. Therefore, the quickest way to get into the snippet box is to optimise existing articles which you are already ranking for. Identify your best-performing articles and understand the search queries that they appear for. While the best opportunities for optimisation lie with your existing content, there is no reason why you can’t publish content on a new topic with the aim of getting into the featured snippet box. Refer to Google to find out what people are searching in particular sectors or areas. You can even look at online forums to identify commonly asked questions. Once you’ve got a new list of keywords to target, this can form the basis for your ongoing content creation plan. Is there a particular featured snippet that you’ve got your eye on? You need to work out exactly what the website is doing to achieve the top spot, and what they might be missing out on. Look at a wide range of featured snippets and identify what makes them successful. If you can do this, while also finding a way to provide a more useful and relevant answer than your current competitors, you’ve got solid grounds to start optimising. Your content needs to be relevant to the question rather than anything resembling a sales pitch. Even if you somehow cheat Google’s algorithm, people won’t click through to your website if you don’t provide for their specific needs. You also need to ensure that your content is valuable. Include useful subheadings which could feature in the list snippet, or create a dedicated paragraph within your content which directly answers one specific question. At the same time, make sure the rest of your article is detailed and helpful to the user – Google won’t reward any articles which it sees as low-quality or lacking authority. The final thing to remember is that it is extremely difficult to achieve a featured snippet, particularly if you have a small site. It won’t magically happen straight away and you shouldn’t feel like you’ve failed if you don’t get it instantly. Even if you do get it for a brief period, the search results are constantly changing and someone could well steal it from you. Having said that, it’s always worth a try. You never know when you might provide the perfect answer according to Google’s algorithm, and it’s always useful to create or optimise content so that it better answers user queries! Give it a go and see what happens. 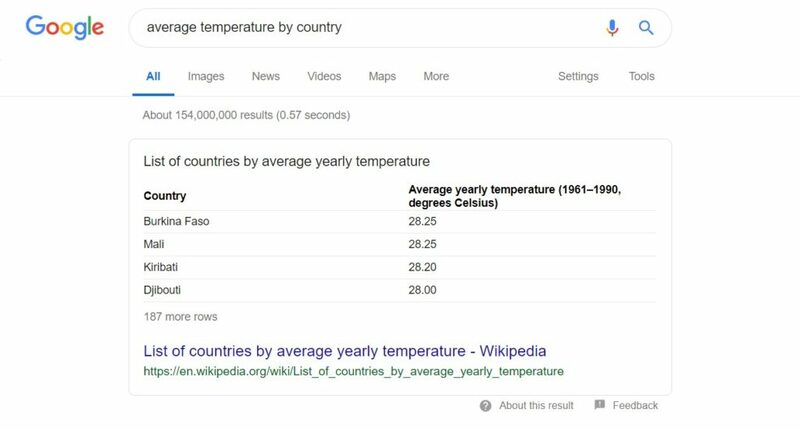 We hope this guide to the Google featured snippet has been useful! For more information on optimising for featured snippets, you can check out this useful article by Moz. We offer dedicated SEO services for website builds and existing websites. To find out how we can help you, view our Search page or contact us for more information.